Dance was practiced as a devotional union between the ancestral and earthly realms through ritualistic performances in architectural spaces, with its genesis in India, extending into Southeast Asia. This essay examines the bronze figures of deities and temple traditions in Angkor, Cambodia in relation to ancient Hindu traditions of South India. Essentially, dance was an offering to maintain harmony with the spirits through the ritual of service, by which the human body as a medium is translated into an expression that speaks beyond language and literature. The written word and spoken word are instruments of communication; yet, movement defies language, as it is transmitted by means of example. Dance is intangible and momentary, expressed and appreciated at its paramount in impermanence. 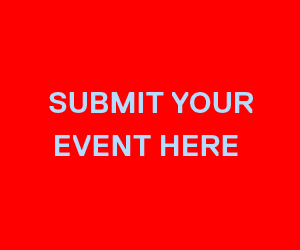 Dance has been fundamental to societies throughout history, as it physically expresses a response to cultural, political and social progression that relates to the perspective of the audience. Dance must be received by the audience through emotional states experienced with the body, known as rasa. In Sanskrit, rasa translates as the sap of a plant; it is the quality of an aesthetic pleasure derived from art shared with the artist and the audience. Figure 1. The world-destroying Hindu deity symbolising the rhythm of the universe, Shiva, the most prominent presentation of dance as divine totality. In figure 1, Shiva as Nataraja is dancing the dance of bliss, anandatandava. As Shiva takes the form of a graceful dancer, the result is cosmic destruction. Shiva dancing the anandatandava is associated with sacred temple traditions of Chidambaram, as the mythology and iconography of Nataraja is unique to Chidambaram. Nataraja was especially introduced during the 10th – 12th century rule of the Chola kings in Tamil Nadu. 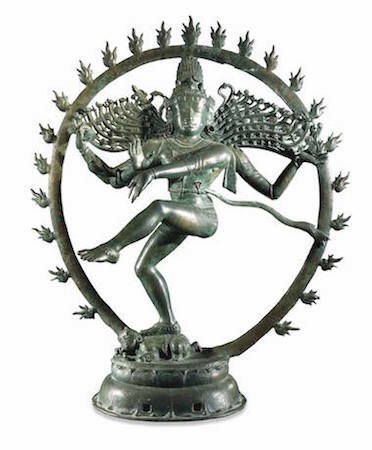 The Chola dynasty compelled the Nataraja image as the supreme shrine and a symbol of their imperial ambitions; several bronzes were commissioned, famous until today and an iconic imagery of India. Nataraja shows a sense of forceful rhythm, as Shiva is portrayed in a dynamic position: his hair flows outwards, and in his hair is the god’s personification of holy water, as well as the crescent moon and intoxicating datura flower, symbolising his wild nature. An arc of flame surrounds Shiva, a signifier of destruction; in his upper right arm he holds the damaru, or celestial drum, that creates the primordial sound, adi nada, and the other right hand is raised in the gesture of reassurance and protection. Beneath the foot of Shiva, he tramples upon the dwarf of ignorance, Apasmara. As dancers’ feet sink into the soil of the earth, each step echoes the sacred space of the land. The soles of the dancer’s feet in India are painted red, signifying growth and fertility. Figure 3. Dancing Shiva, Bronze, 12th–13thCE Angkor period, private collection. Photograph c/o Andrew Rogers. 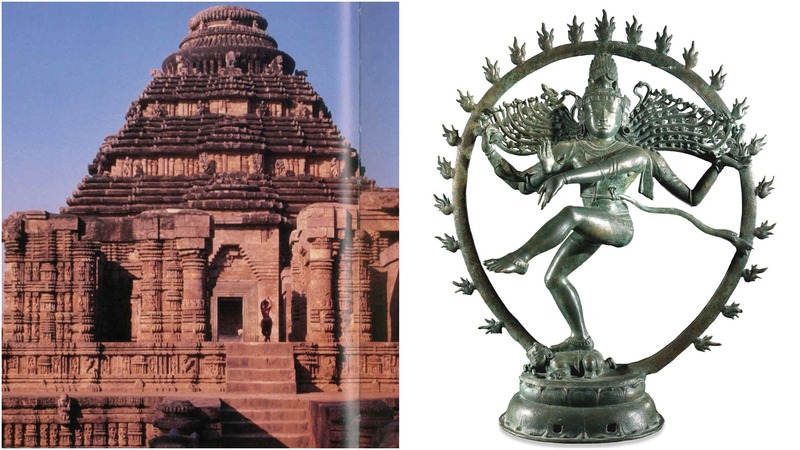 Nataraja was introduced through sculpture and architecture of the Angkor Empire from the 9th to 14th century. 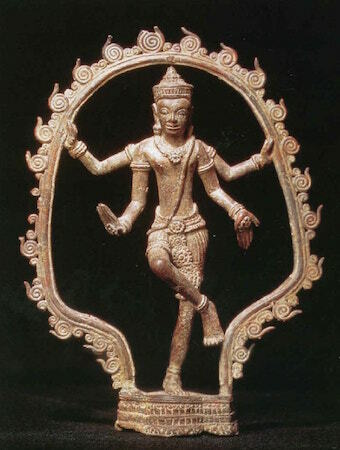 Figure 2 shows the appearance of a small dancing Shiva in a private collection in Bangkok. 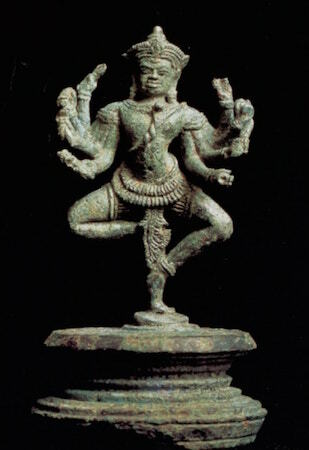 Figure 3 is a Khmer bronze figure of dancing Shiva with his legs in the ardhaparyanka position, a typically tantric pose and common posture for celestial dancers. The iconography of Figure 3 is distinctly Khmer: he is adorned with a high crown, sacral cord across his chest and a short sampot at his waist. His figure is robust with a dynamic and forceful energy that that of Shiva Nataraja. His face is square with Khmer features of thick lips, rigid nose, strong eyebrows and wide eyes. Figure 2, 3 and 4 highlights the circulation of the Nataraja image from South India into Southeast Asia. The 10th century Saiva saint, Nayanmar Basavanna, echoed the concept of the human body as the highest abode for worship. He values the living devotee who carries god in his heart as he is in movement, in comparison to a structured static form. Swami Chemburkar states that in the 11th and 12th centuries, the resurgence of the bhakti devotional movement in India brought direct connection to the deity through the form of dance and music in temple rituals. The bhakti devotional revival in Hinduism had an impact on the kingdom of Jayavarman VII, as he brought the bhakti movement into Angkor. The earliest Khmer inscription, AD611, describes dancers and musicians being donated to serve the local deity within the temple. The erection of monolithic monuments increased with the intention of cultivating ritualistic performances within temples during the 8th – 13th centuries. The textual evidence provided codified devotional structure for temple worship called the agama sastra, closely correlated with Saiva worship in South India. Found throughout Hindu temple structures in India, Sri Lanka and Southeast Asia is the nata mandap, derived from South Indian Dravidian architecture, as exemplified in figure 4. 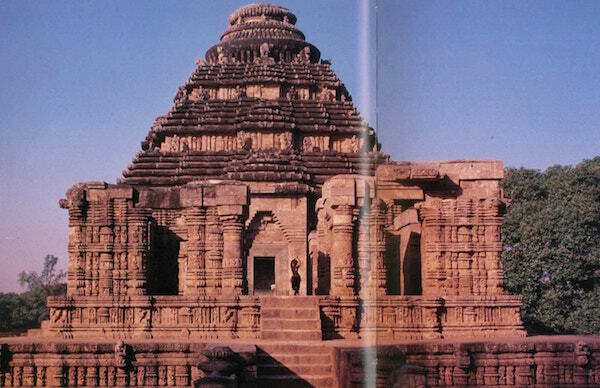 Figure 4 shows the Jaganmohana Temple in Konorak, Orissa, as a dancer is on the nata mandap, surrounded by elaborately carved walls of dancers. Leela Samson states that when the Odissi style of classical Indian dance declined and eventually faced extinction, scholars revived the tradition by investigating the forms of dancing figures that embellished temple walls to supplement the vocabulary of the repertoire of Odissi. Between the 4th and 12th centuries, historical evidence suggest that the Pallava and Chola dynasties of South India expanded their temple ritual dances, accompanied by the philosophy and religious beliefs onto Angkor, corresponding to the rise of Cambodian classical dance in the 5th century. Through the temple runs the vertical axis known as brahmasutra, uniting earth and sky, anchored by the central sanctuary of the temple descending to the third realm, the underworld. Abiding and dominating in this fluid level are the nagas, serpent genies. The core mythology of nagas originated in India, based on the myth that an Indian Brahman, Kaundinya, married a naga-princess and founded the Khmer royal line. This union of hero and serpent goddess is also found within the origins of the Pallava dynasty. Geoffrey Benjamin states that the cosmos are set apart into two planes: of existence and of essence, of the seen and unseen, of materialisation and matter verses the spirit and the soul. 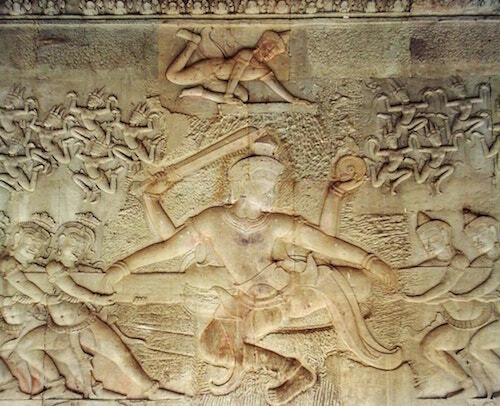 Figure 6 shows the most common carving surrounding the walls of Angkor: the churning of the ocean of milk, based on Indian mythology. The rhythm of duality as two opposing forces, churning the universe, the act of transforming potential into fulfilment as symbolised by celestial dancers, apsaras. Cravath, Paul. Earth In Flower: The Divine Mystery of the Cambodian Dance Drama. DatASIA, United States of America, 2007. Freeman, Michael. Angkor: Icon. River Books, London, 2003. 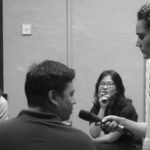 Guest Contributor Chloe C. Chotrani is a dance artist, cultural manager and writer based in Singapore. 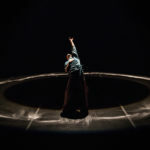 She was a dance scholar with Romançon Dance in Manila and has worked with B Supreme London, Evidence Dance, Movement Research and Gibney Dance in New York. Her creative research is oriented towards her heritage and ancestry, the dance ethnography of Southeast Asia, eco-feminism and the decolonization of people. Find her on her website.